For me, it is absolutely satisfying. Tunes my guitar precisly, fast. Its light, easy to use, and seems to be a good quality. It would have an output too. Then I would use it in pedalboard. I bought the device to tune electric guitar and electric bass. I also agree with a ukulele, clipping on a piezo pickup. I am a little disappointed with the voice function. The device takes a while to settle on a value. I would have expected a faster response. It is there, I make no difference, whether the signal comes via the jack plug from the instrument or via the plugged piezoelectric pickup. A built-in microphone has the device synonymous, but I usually do not use because of the ambient noise. The display is easy to read with normal lighting. Three colored LEDs support detection for the right mood. The device has no lighting, which can be a problem in difficult lighting conditions. What is really missing is a way to set up the device. A stand device does not exist and through the round bottom of the device, the tuner can not set up ajar. 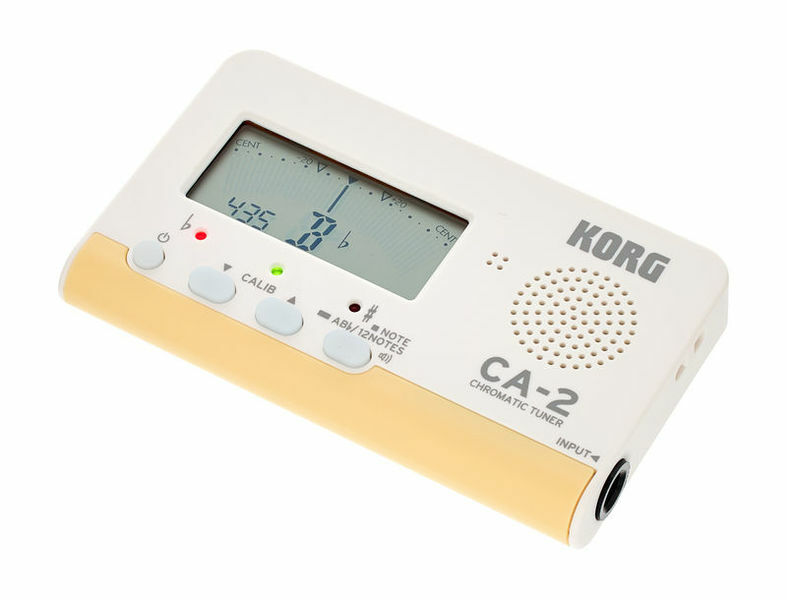 The Korg-CA2 does what it should for me, but offers little comfort. ID: 402139 © 1996–2019 Thomann GmbH Thomann loves you, because you rock!